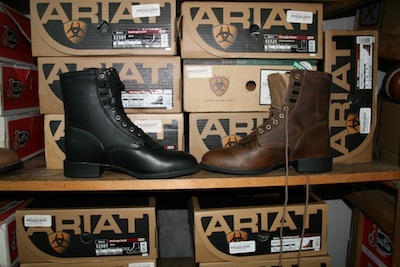 We have one of the largest collections of western wear accessories, cowboy boots, cowgirl boots and western boots in New Castle for men, women, and children. You can rely on us for the best quality products at the most affordable prices. Along with the cowgirl boots, you can also find hats, apparel, and accessories in our store. If you are unsure if the cowgirl boots will look good on you, our consultants are here to help you find the right pair. We are committed to our customers and will help you find just the right pair of cowgirl boots and accessories to match. Feel free to contact Country Square Western Wear at 253-220-7674 for all your western wear, cowboy boots, and cowgirl boots in Newcastle.